Where is my phone? How to find your Android device without a tracking app. Google can help you find almost anything, but it’s no good if you’ve lost your smartphone – until today. The search engine now has the ability to check where your phone is directly from its homepage. 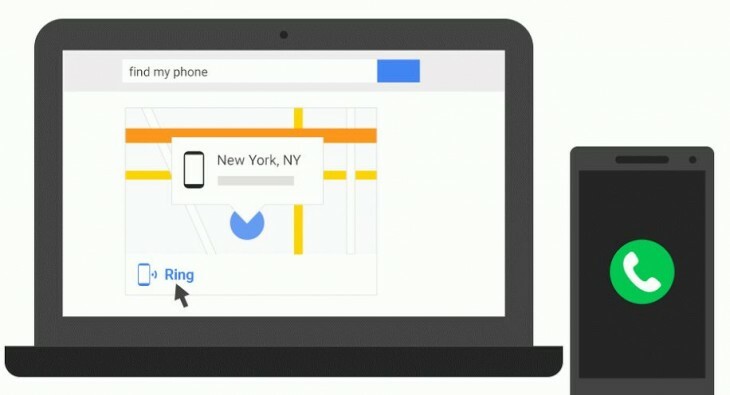 Just type in “Find my phone,” and Google will show where your phone is on a map. You can then set it to ring, should it be lost under piles of laundry or something of the sort. There are some caveats: your phone must have the latest version of Android’s main Google app installed, and your browser must be logged into the same Google account your phone is, but it’s a much simpler way to find your phone than going through the Android Device Manager, which many Android users may not even be aware of.